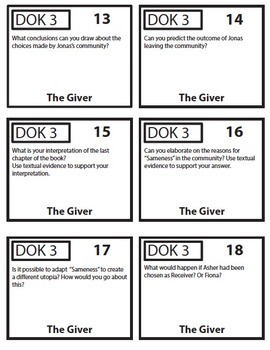 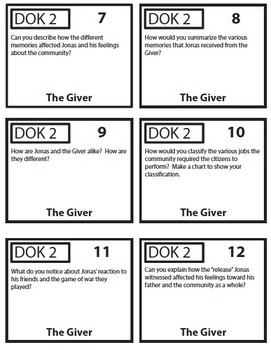 This product provides a set of Task Cards that are aligned with Webb's DOK,levels 1-4, and and are specifically for the novel, The Giver. 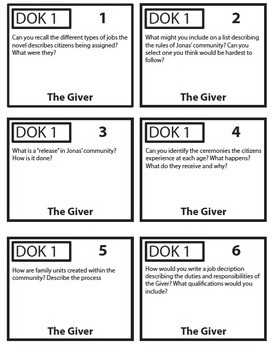 Just print them out, cut them up and hand out to students to complete. 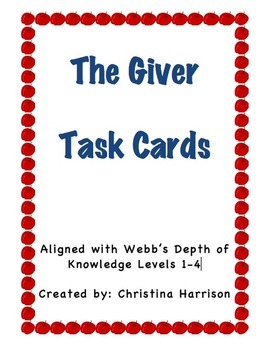 Great activity for literacy stations, lit circles, and small groups.